A multilingual K-pop juggernaut, BTS mashes up pop, hip-hop, rock and dance music with huge, infectious energy and kinetic choreography. It’s one of the biggest bands in the world, and as of this weekend, it’s got a Saturday Night Live performance under its belt too. 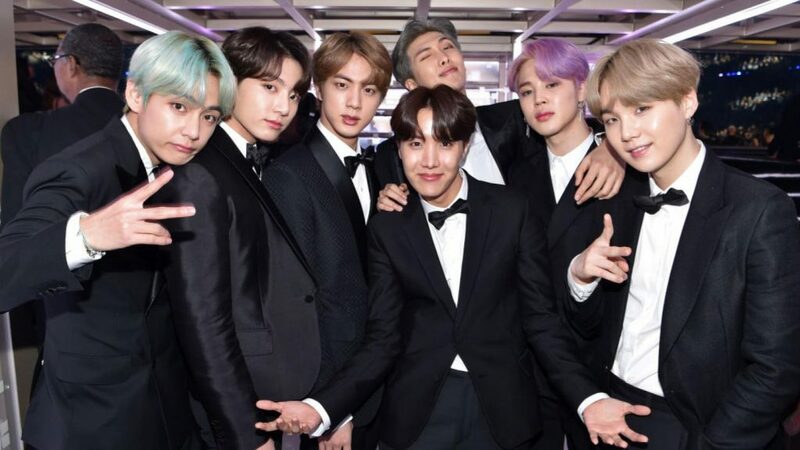 The South Korean septet has built a fan base that’s broad (its videos are viewed many hundreds of millions of times each), deep (its fans tend to be intenselydevoted, especially on social media) and fully worldwide (its new record, Map of the Soul: Persona, is almost certain to top the U.S. album charts this week). Every generation gets its own crop of boy bands, but BTS feels like an unusually potent force: Its sound seems to straddle the whole world, the songs are catchy as anything and each member brings enormous charisma to the mix. Lots of bands can seem strangely diminished by the SNL stage on TV, but on Saturday night, BTS filled every inch of the frame with flashy motion — tight choreography, bright colors, bold energy — as it performed “Boy With Luv” (from Map of the Soul) and “MIC Drop” (from 2018’s Face Yourself). That BTS has crossed over into the U.S. mainstream pop-cultural consciousness is no surprise; the group has been ascending for years amid a prolific burst of thematically ambitious albums and EPs. But this new surge feels like a genuine tipping point: The SNL appearance dominated social media all weekend, and BTS will drop another heavily hyped spectacle at the Billboard Music Awards on May 1. The group will team up with Halsey — a guest on the studio version of “Boy With Luv” — for the latter performance, the news of which broke during commercials Saturday night. Twitter was extremely excited, so strap in: SNL was just the beginning. Mary Lambert’s 1989 big-screen adaptation of Pet Sematary.